There will be a Republican Primary for sheriff of Putnam County after all. 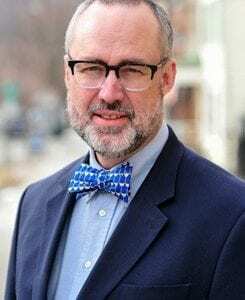 Retired New York Police Department Captain and announced candidate for sheriff Andrew DeStefano called State Supreme Court Justice Paul Marx’ decision a “victory for the overw… Please login below or purchase a subscription to the Putnam County Courier to access this content. Members of the Quilters, Joan Crawford (right) and Cecilia Silva, Cynthia Cyprus and Debbie Behling display their wares. 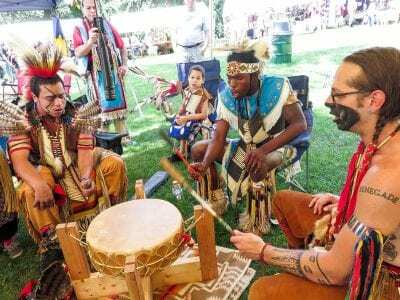 Photo by Eric GrossEvery Wednesday evening, four residents of the greater Southeast area gather in a concrete block building loca… Please login below or purchase a subscription to the Putnam County Courier to access this content. 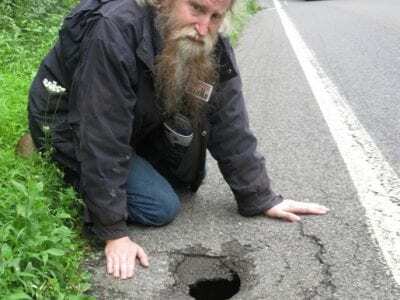 Louis Epstein checks out the sinkhole on Route 301 in Kent Cliffs. Photo by Eric GrossLouis Epstein was both concerned and dismayed. 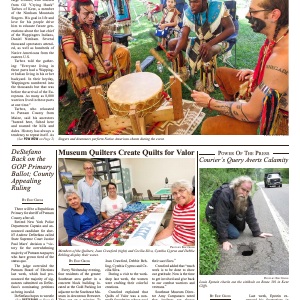 After discovering a sink hole on Route 301 in western Kent earlier this summer and reporting it to the New York State… Please login below or purchase a subscription to the Putnam County Courier to access this content. A raccoon observed acting in a bizarre manner at the Putnam Plaza Shopping Center in Carmel has tested positive for rabies. Putnam Health Department Public Information Officer Barbara Ilardi said the animal was discovered last Monday evening in the w… Please login below or purchase a subscription to the Putnam County Courier to access this content. To the Editor: Last Sunday afternoon I had the good fortune of meeting candidates Judie Mirra and Robert Langley. Judie is running for Carmel Town Board. She is bright, engaging and enthusiastic. 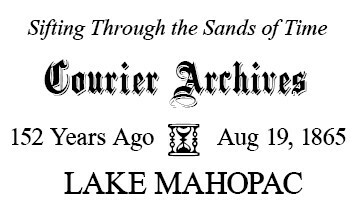 Her work ethic indicates that she’ll stay on top of Ca… Please login below or purchase a subscription to the Putnam County Courier to access this content. This beautiful spot, prepared by nature in her most exquisite mood, and made charming by a pellucid lake, surrounded by rural scenery, every beauty of which has been brought out and developed by intelligent culture, and the finer embellishments… Please login below or purchase a subscription to the Putnam County Courier to access this content.